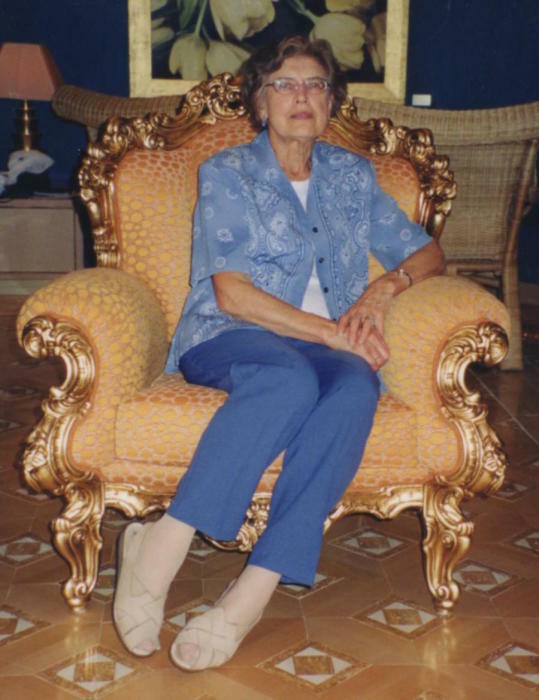 With a tear in our eye, we announce the passing of our mom, Iris Derenowski at the grand age of 93.5 years. Left to carry on her legacy and share many memories are her children: Romaine, Denise (Wayne) and Loren (Shelly); grandchildren Cora (Adam), Nadine, Craig, Michael, Chelsea, Emma (Justin) and Ella and great grandchildren: Jordon, Caitlin and Lukas. Also, remembered by her brothers Michael and Stephen (Irene); sister in law Dorothy and many special nieces, nephews and friends. Predeceased by her beloved husband Peter, daughter in law Eileen, brothers Walter and Russell, sister Phyllis (Nick) and sister in law Winnie. Iris was born on a farm near Stornoway, Saskatchewan to the parents of Michael and Catherine Zacharuk. She was a dedicated teacher beginning her long career in the tiny hamlet of Somme in 1943 and retiring in Yorkton in 1985. She found a way to balance work and motherhood. Iris loved to travel and explore the world, was an avid reader, a champion bowler, an impeccable organizer and an amazing “head” gardener (but we all know Peter did the actual work). She contributed many volunteer hours to the Royal Canadian Legion, RCL Women’s Auxiliary and the Ukrainian Orthodox Hall. We will miss her greatly. A celebration to honour her life and legacy is planned for Friday, July 13, 2018 at 2:00 at Christie's Funeral Home, 121 Palliser Way in Yorkton. She will be laid to rest beside her loving husband Peter in the Yorkton Cemetery. Special thanks to all the kind and caring staff at Canterbury Foundation in Edmonton, Alberta. Donations may be made to Alzheimer’s Society of Canada or Osteoporosis Canada.